Three Regional Conventions have come and gone this year, and more than a couple months have passed since the last one. Church of God people from across the United States and Canada, as well as some beyond, have already tasted these life-giving experiences wrapped up in two days of top-notch teaching, worship, and fellowship. Others have yet to see firsthand the power-packed potential in the lineup of Spirit-led speakers, electives, and activities. For them (and a few for whom one Regional Convention wasn’t enough this year! ), the Fairfax and Safety Harbor conventions offer much reason for anticipation and expectation. 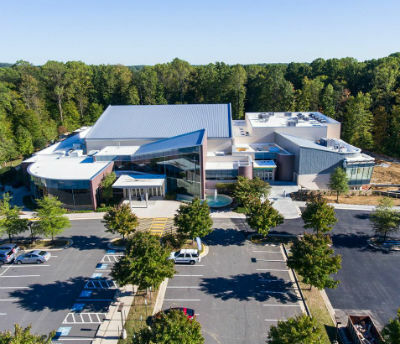 Near a city well-known for division, the Church of God gathers this week at Fairfax Community Church to live out the unity of believers, lift up the name of Jesus, and experience anew the life he offers. Sure, most of the speakers from Arizona, Oklahoma, and Ohio are scheduled to speak again, and many will hear them for the first time. Still, there are a few components of the #LifeFairfax program that are unique. Host pastor Rod Stafford will deliver a message out of the experience he’s had at the helm of one of the most dynamic congregations in the Movement. Kevin Earley will make his debut appearance at the 2018 Regionals in Fairfax, offering hard-hitting truth infused with the love and grace of Christ. Brad Lomenick will inform and fascinate from the strategies and insights he gained through his leadership of Catalyst. The topics of hospitality, problem-solving, spiritual growth, leadership, and decision-making will be thoroughly covered by the great leaders of Fairfax Community Church. Christian Women Connection is set to host a special “Connect and Go” reception, and the Fairfax Community Church worship team is looking forward to leading a powerful closing session on Wednesday evening. Realizing the wonderful and often unexpected ways God works, no doubt there will be many more unplanned moments of life change. These moments will be captured on pictures and social media posts—so follow us on Facebook at www.facebook.com/chogministries and on Twitter at www.twitter.com/chogministries. Share your life-touching moments at the Fairfax Regional by using [hashtag] #LifeFairfax! Learn more about the two final Regional Conventions this year by visiting www.chogconvention.org. This entry was posted in All Church of God, Church of God Convention and tagged CHOG Convention, D.C., Fairfax, Fairfax Regional Convention, LifeFairfax, regional conventions, Rod Stafford, VA, Virginia, Washington. Bookmark the permalink.